An investigation has been launched after an eight-year-old boy was hit by a car outside Calderdale Royal Hospital. The rapid response vehicle was on its way to an emergency call when it collided with the boy on Dryclough Lane, Halifax, just before 8pm on Wednesday. The boy was taken to hospital, but sustained minor injuries. Another ambulance was sent to the emergency call. The Yorkshire Ambulance Trust has confirmed that it has launched an investigation into the incident. 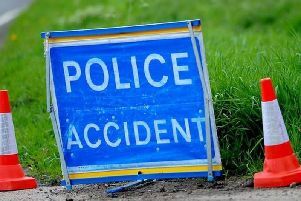 “We can confirm that one of our rapid response vehicles (RRVs) was involved in a road traffic collision with an eight-year-old crossing the road on Dryclough Lane, near Calderdale Royal Hospital in Halifax just before 8pm on Wednesday 8 July 2015. “At the time of the collision the RRV was on its way to an emergency. As soon as the incident was reported we immediately deployed another RRV and ambulance to the scene. The child sustained minor injuries and was transported to hospital to be checked over.